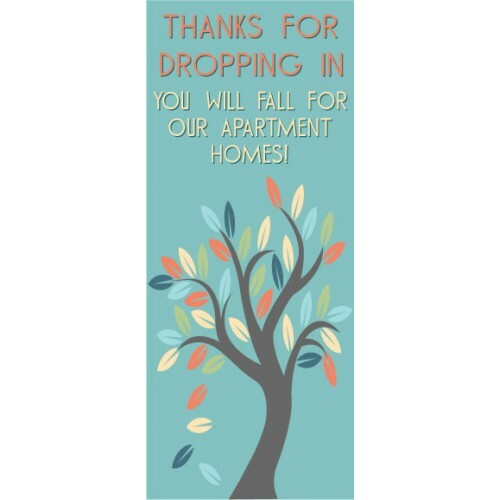 The Drop In Display banner welcomes guests with leaves falling from a tree a hospitable message. We will make the banner to fit your hardware, so let us know which one you have. Add you special message and name.